About the fess structure and there in no loan and scholarship. 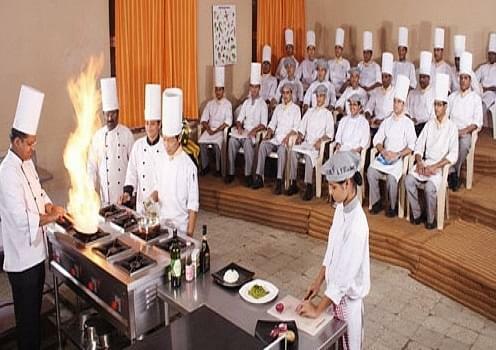 Top Hotel Management Institute in South India. The management is fully dedicated to the students. 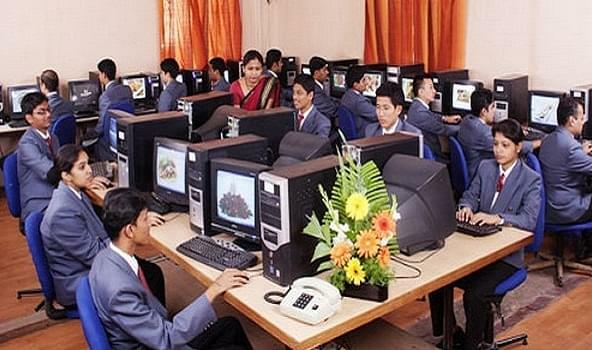 They are giving above 100 percentage in all the ways to provide the best education and the value for your time and money. 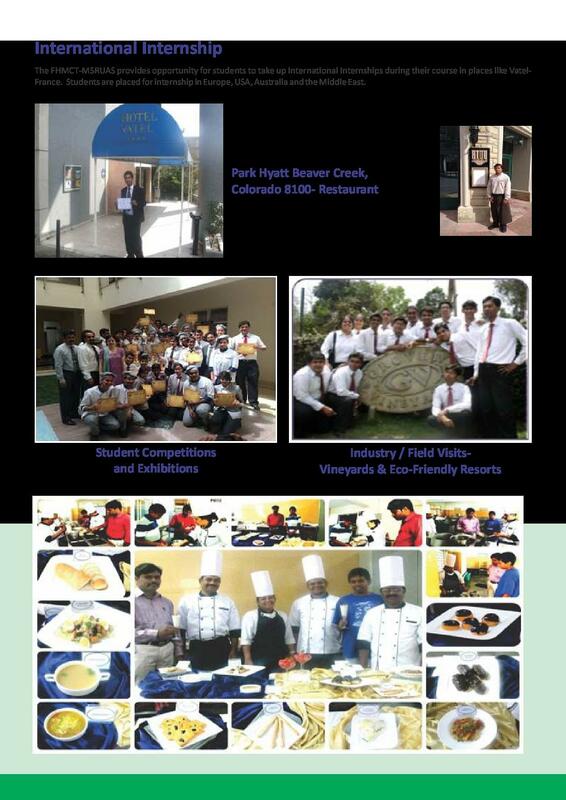 Ramaiah College of Hotel Management is an institute that provided education on hospitality services and was established in 1993. 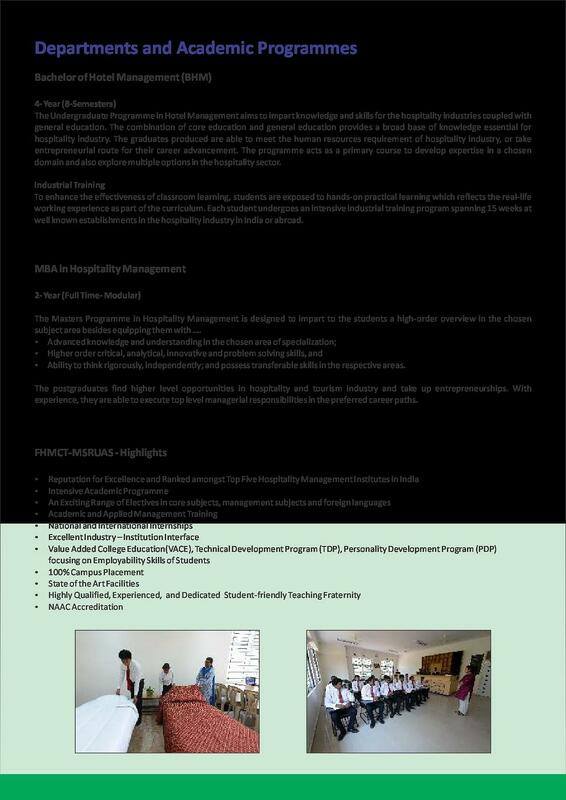 Ramaiah College of Hotel Management is part of the prestigious Gokula Education Foundation with the objective of giving deserving students the opportunity to pursue higher studies in the fields of Hotel Management. The college was set up with a mission to fulfil the commitment of imparting a value-based, service-oriented training to create hospitality professionals endowed with knowledge, attitude and ability to meet the industry’s challenges. 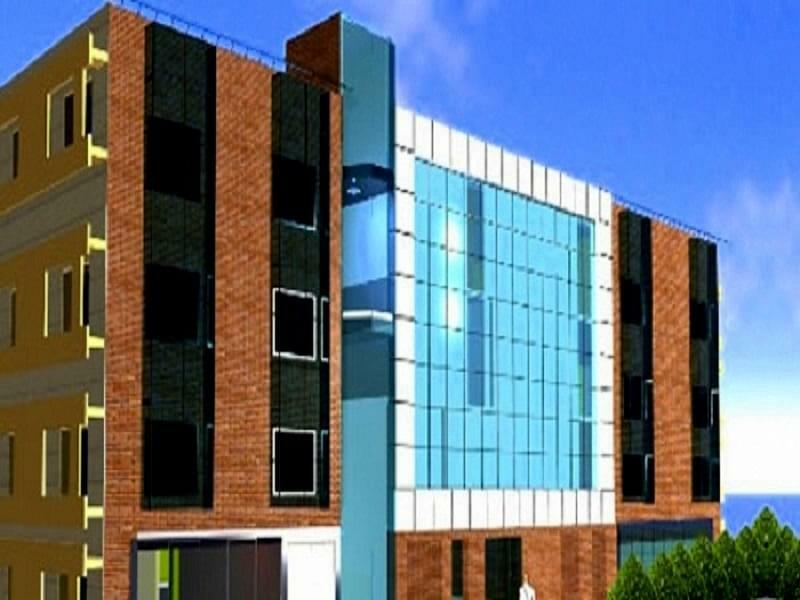 The Vision of the college is to establish as an international, advanced learning centre that imparts the highest values of hospitality and courtesy, in the service of mankind. The college aims to impart the highest levels of hospitality training, to ensure quality, service-oriented, professionals and to be recognized as the training ground for wholesome students- creative, decisive, proactive and responsible citizens. Over the years, it has attracted youth from all across the nation to be groomed into the most sought-after hospitality professionals and has helped them develop leadership and team skills in to make them self-directed, environment-conscious citizens with humane values. 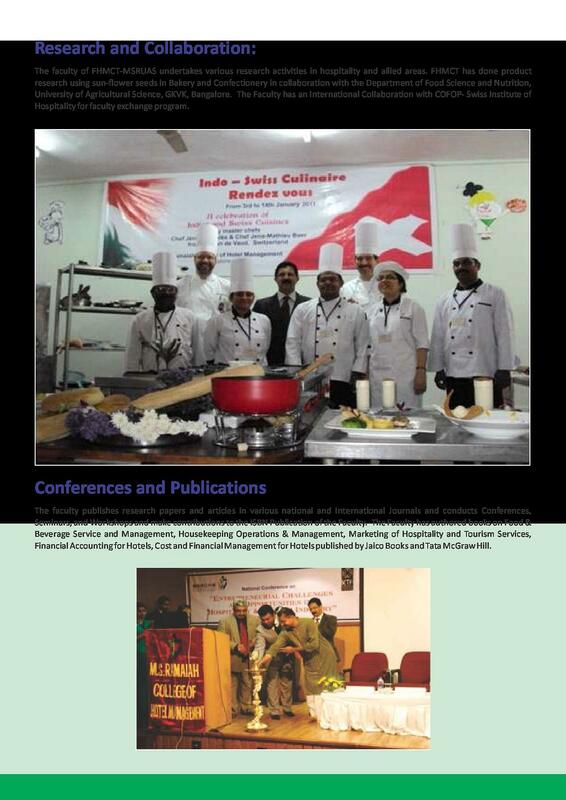 Why to JoinRamaiah College of Hotel Management? 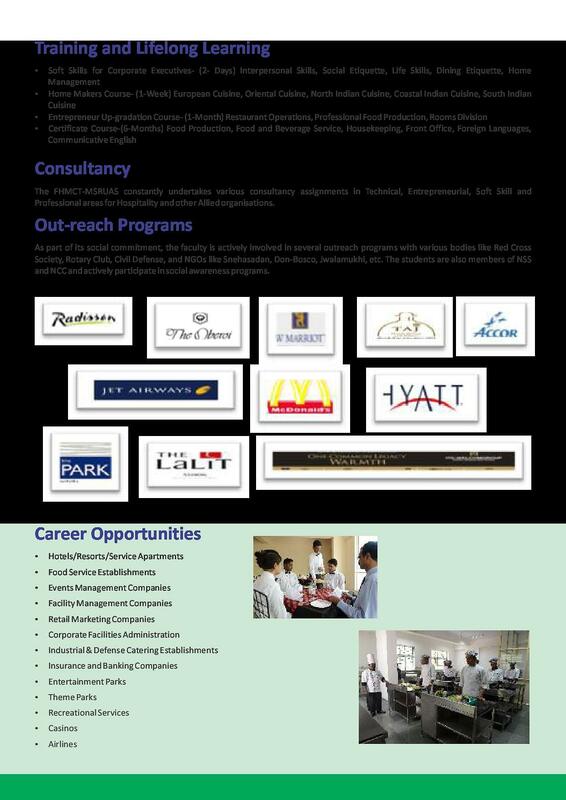 Internships- The students of the II Semester and IV Semester are given the opportunity to broaden their experience by working part time and train during their vacations in various organizations like The Oberoi, The Taj West End, ITC Royale Gardenia, ITC Windsor, Mövenpick Hotels & Resorts, Yum Foods and McDonalds.